There are few people who know enough about geology and how to tell if there is likely to be gold just from looking at the gold site, but there are even fewer who understand how to teach you these skills. Especially in laymen's terms that the everyday Joe, who does not have a degree in geology or hydrology, can easily understand. Do ﻿you want to know ﻿where ﻿to find gold? I'm Prospector Jess, and I am about to share with you some little ﻿﻿known ﻿﻿prospecting “trade secrets” that very few people know, or have even heard of. Locating good places to find gold can be tough, and even stressful at times, and if you have tried your hand at gold prospecting you already know that's a fact. If you have searched online, or have even purchased videos, then you know there is not much available on where to find gold. Sure, there are YouTube videos on using a gold pan, but if your dirt is from a spot that has no gold, all the panning tips in the world can't help you! 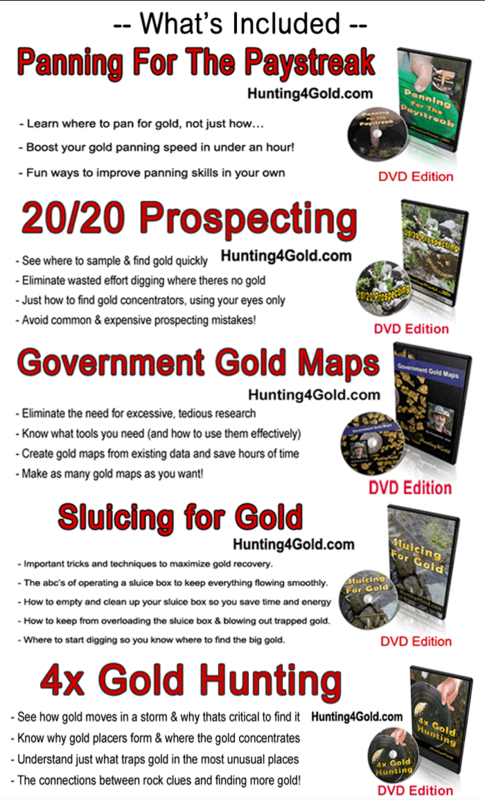 The Gold Prospector's Collection contains 5 of my most popular DVDs that cover everything you need to find gold. You get our 100% Money Back Guarantee when you get the Gold Prospector's Collection. If you are not completely satisfied, simply contact us within 30 days of purchase for a full refund. You can get all 5 DVD's right now for only $199. Besides the fact that I have a background in geology, engineering science and years of experience hunting for gold, if you look at what others are saying about my training you'll see just how much you learn from these videos. "Great Video Jess. Been placer mining 2 years now, amazing how little I know about rock formations. Finding gold and your videos help reinforce the need to do lots of sampling." "After watching your videos, I took my dads old Minelab SD2000 and went hunting gold in the granite river beds near my house... Now I'm hooked! You're an excellent speaker, your videos are very easy to understand, thanks!" "PJ, You have much knowledge to share and, I along with all others before me on your site, are thankful indeed. I have obtained much knowledge in my research quest. Now however, I have found you and my knowledge is getting a boost to say the least. Looking forward to putting your teaching to work. 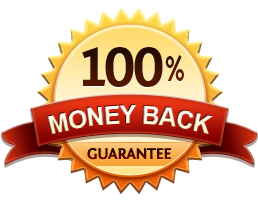 Remember, with our 100% Money Back Guarantee you can get the entire Gold Prospector's Collection and if you are not satisfied, simply contact us within 30 days of purchase for a full refund.